Big Finish Productions have released a podcast featuring some clips from my full-cast Blake’s 7 audio Warship. Click the link to hear it! And of course you can pre-order the audio here. And while you’re at it, pre-order the novelisation that I’m doing here. Still no more news about the other Blake’s 7 thing I’m doing. It was almost done… and then it took an unexpected and even more exciting turn! 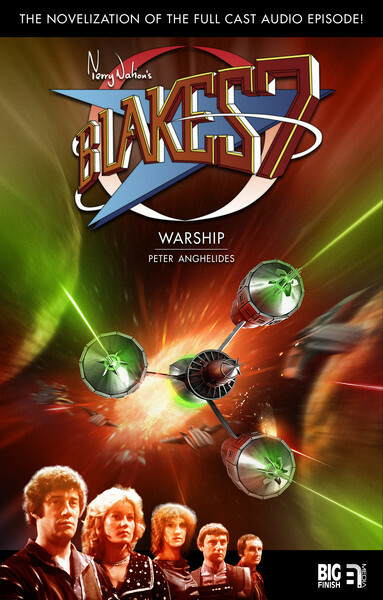 Big Finish Productions have released the first trailer for my full-cast Blake’s 7 audio Warship. Click the link to hear it! But more importantly, pre-order the audio here. And while you’re at it, pre-order the novelisation that I’m doing here. More news here soon , I hope, about another Blake’s 7 thing I’m doing.